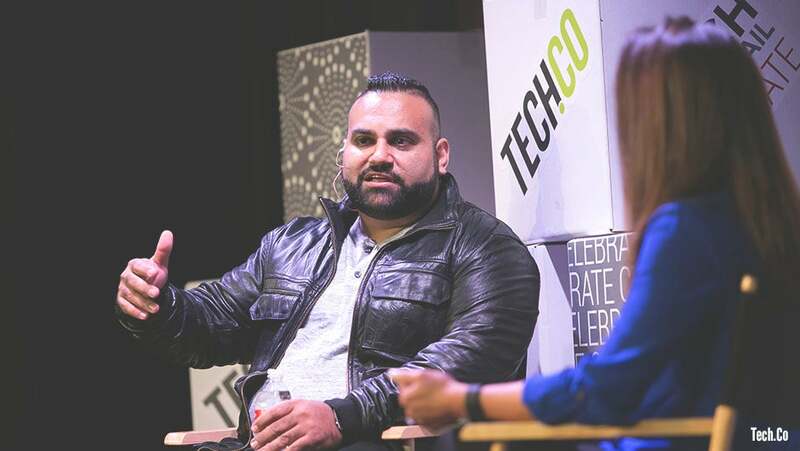 Back in October during Celebrate 2015, Tech Wildcatters cofounder and managing partner Gabriella Draney hosted a fireside chat with Rokk3r Labs’s Cofounder and CEO Nabyl Charania. During the chat, Draney put Charania to the task of explaining a topic near and dear to him: exponential organizations. So, what the hell is an exponential organization then? Charania looks at it from the technology investor side, and as a result the companies at the intersection of exponential technology. He posed the question of there being two markets growing exponentially, drones and 3D printing. But who is 3D printing drones? For Rokk3r Labs, it’s exactly these kinds of organizations that can grow exponentially, and therefore the kinds of companies they specifically work with. For those unfamiliar with Rokk3r Labs, they are not an accelerator, incubator, or development shop. They focus on co-building. Co-building is a new concept that caters to those who have ideas with exponential reach, but don’t yet have the team or resources in place to turn it into a company. “We don’t do cohorts, we don’t have that specific program that you go through, so what we are is actually place if you want to build your company and you need a team around you of experts who can help you go from zero to 100, fast, that is who we partner with,” said Charania. As a partner of Rokk3r labs, the company trades time and effort in exchange for equity. Launched in Miami Beach, FL in 2012, the company has raised $5M in their initial round.